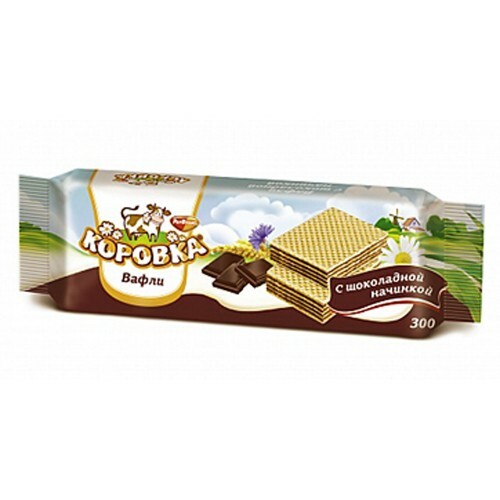 Imported Russian Wafers "Korovka" with Chocolate filling 300 g buy for 2.7900 in store RussianTable with delivery. Weight: 300 g Wheat flour, sugar, palm oil, milk powder, vegetable oil, dry egg powder, cocoa powder, citric acid. Do you have any questions about Imported Russian Wafers "Korovka" with Chocolate filling 300 g?